We are proud to announce that from 2018, we will offset the carbon emissions from all of the trips we offer in China. In another word, All Charmission Trips Will Go Carbon Neutral. We do this in collaboration with South Pole (www.southpole.com). It has expertise covering all steps linked to the development and the management of carbon credits for emission reduction projects. They cooperate with technology providers and other project developers to identify and manage emission reduction projects that avoid or reduce the release of greenhouse gasses into the atmosphere. South Pole helps us calculate the carbon emissions from our trips and we then choose to compensate them through investing in some of their projects. 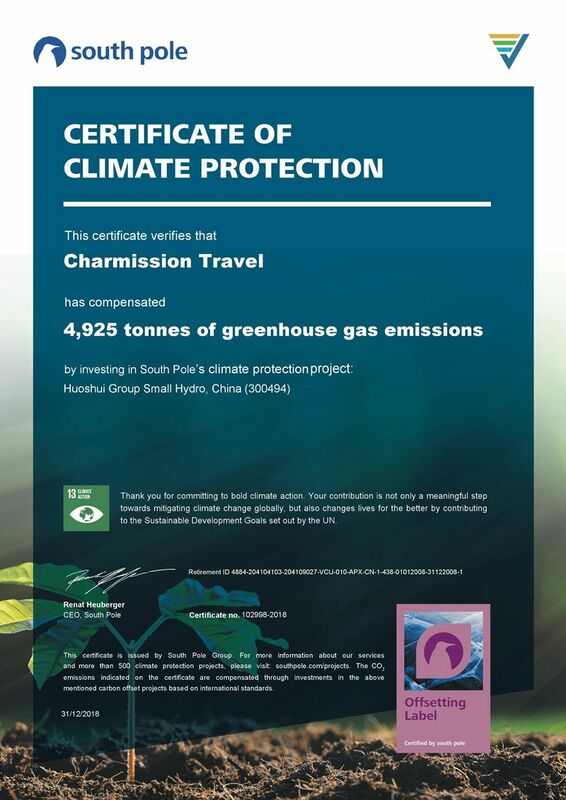 For 2018, the total emissions from Charmission trips are 7999 tonnes. Since three of our partners have compensated the China part for us which amounts to 3074 tonnes, we offset the remaining 4925 tonnes of CO2. From 2019 on, we will offset all emissions from China part. Which project do we support? VCS: Verified Carbon Standard now called Verra. Quality standard developed by the International Emissions Trading Association (IETA), the Climate Group (TCG), the World Business Council for Sustainable Development (WBCSD) and the World Economic Forum, governed by the VCS Steering Committee. SC: Social Carbon Standard. Additional quality label on top of VCS, which certifies that the project simultaneously addresses climate change, supports local communities and smallholders and conserves biodiversity. This project consists of multiple small-scale hydropower plants that generate renewable energy for rural South West China. 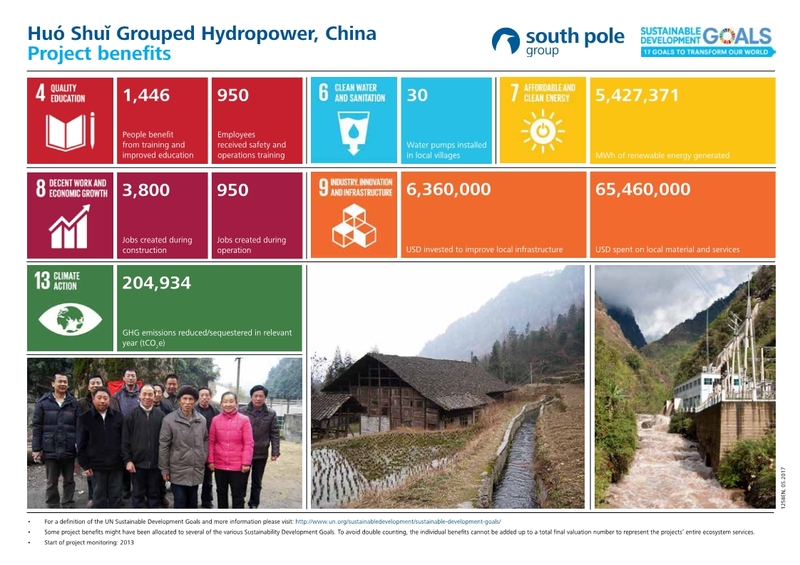 By supplying clean hydroelectric power to the local grid, the project displaces greenhouse gas emissions, helping mitigate climate change and improving the lives of local people. 2014 © Copyright Charmission, All rights reserved.